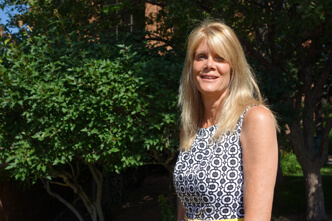 Tracy Reinhard, president of Rose Women’s Organization. On a May morning, the Rose Community Foundation offices are abuzz with 30 women meeting in the Foundation’s boardroom. The women’s backgrounds are varied and their ages range from 30s to 80s, yet philanthropy unites them. But the collaborative giving experience extends beyond the dollars given. “We also help people have meaningful philanthropic experiences and ensure that their grantmaking will make a difference,” explains Indyk. “Our board learns and grows through a process of culling, researching and ultimately making informed grants to nonprofit organizations working to address the issue we’ve identified,” explains Reinhard. RWO’s grantmaking funds come from fundraising events, earnings from an endowment fund at Rose Community Foundation, member dues, donations and proceeds from Rose Medical Center’s gift shop, a nonprofit social enterprise, at which the RWO members actively volunteer. Since 1996, RWO has invested more than $1.6 million in grants to benefit the community. Learn more about RWO’s long history. Learn more about how to establish or get involved in a collaborative giving group by contacting the Philanthropic Services team at 303.398.7459.